Surprisingly slimmed down, this space-saving desktop could just as easily fit on your desk as under it. With powerful hardware, reliable performance, and generous storage, your everyday computing is something to get excited about. Multi-task efficiently and manage all your day-to-day demands with the latest Dual-Core AMD A9 processor. 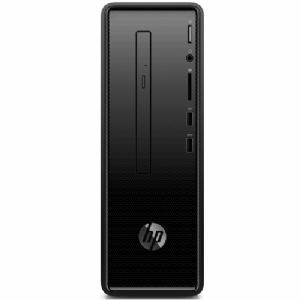 Whether you show off your tower or tuck it away, the HP Slim Desktop PC was designed to blend in without dominating your space, thanks to a sleek design and microdot pattern.